Firstly, what is Blockchain Technology? To put it just, blockchain creates a digital, distributed and decentralized ledger that records transactions and data in a transparent and immovable manner. This decentralized technology does not require the help of any intermediaries like financial institutions. What we mean to say is that this way of processing is entirely new, which does not require the involvement of the currently available banking networks. Blockchain was first introduced along with the invention of Bitcoin in 2008, with the practical invention coming in the year 2009. You might not know this, but, the concept of electronic cash or digital currency is not new. Since the 1980s, the e-cash protocols have existed which are based on the model created by David Chaum. Blockchain is a peer-to-peer distributed ledger technology that is secured cryptographically and can only be updated through consensus or agreement among the peers. The technology of Blockchain can also be thought of as a peer-to-peer network which runs over the internet. As entrepreneurs steadily understand the concept and the power of blockchain technology, there is a surge of investment in healthcare, insurance, transportation, energy and much more. To be clear, nearly 15% of financial institutions are using blockchain technology today. Here in this article, we’ve gathered some of the most ambitious blockchain open source projects of 2018. Coinlancer is probably the most interesting and exciting application of blockchain technology that promises to deliver better performance and even better user experience. Coinlancer is the latest decentralized market that is built on top of the Ethereum Network. It is designed to empower both freelancers and clients from all around the world. It also provides a different platform rather than the conventional freelancing platforms, which for now, fail to deliver productive solutions. The primary aim of Coinlancer is to make the process of freelancing safe and secure. FairWin is an online decentralized gaming platform, which ensures decency in winnings, with their special Fair Channel guaranteeing accurate RTP (Return to Player) rate. The FairWin platform allows developers to create 2D and 3D games from any part of the world. Just like Coinlancer, Fair Win is also built on the Ethereum blockchain technology. It means that the transactions of data and game is not stored on a single server, but are documented in the Blockchain system and ready for use by every player. The platform gives the players an extra layer of protection by safeguarding from external interruptions and any illegal manipulations. The tokens of FairWin are operated within the system; players can then utilize those tokens to place bets. As experts predict the growth in the online market industry, the future of the online gambling industry relies entirely on blockchain technology. What makes FairWin an exciting gambling platform is that no single gaming system can guarantee its players the fairness of winnings. This makes the players trust the authenticity of the game and create a massive demand. Tap Project is another gaming platform that is based on blockchain technology. Tap coin is an Ethereum based token that provides the users with a feature of transferring their game currency and use it in other games. While playing games, Tap Project allows players to earn some money. The sole purpose of Tap is to eradicate the time that it consumed by the players in earning-in-game currency. The Tap coin decentralizes the game currencies into one single money that can be traded, transferred and exchanged with the globally accepted currencies and cryptocurrencies in the world. Digital currencies are bursting into the scene, and investors are generating returns that they never really imagined. 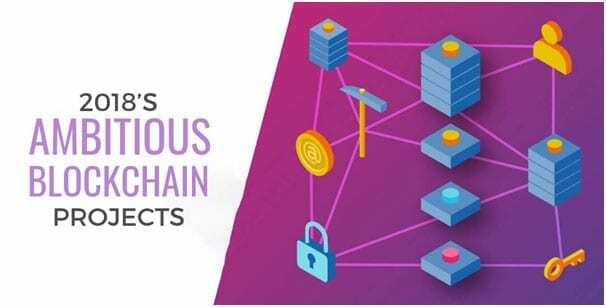 Blockchain, for now, has shown great potential, and these projects represent how large-scale efforts can help in fully embracing and integrating the technology in the current infrastructure in various industries. We are extremely excited and waiting to see the expansion of the blockchain technology in distinct industries. Next articleHow SSN can be used for Identity Thefts?